According to the WHO, Zambia's "Ministry of Health holds the central responsibility for medical care and preventive care services through its wide network of public health institutions, countrywide....The Ministry of Health holds a number of specific functions concerning the public health provision in the country, in coordination with peripheral levels and partners. These include: Regulation, Planning, Service Provision, Financing, Administration, and Monitoring & Evaluation." In 2017, the Zambian Ministry of Health released the world's first national surgical plan. All Saving Lives at Birth activities are carried out at the direction of--and in close coordination with--the Ministry and its institutional affiliates. 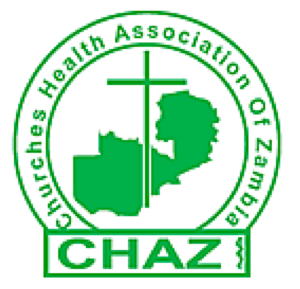 CHAZ is the largest non-governmental health provider in Zambia, with 150+ member institutions in its network--the majority of which are based in rural areas. They comprise 34 hospitals, 77 health centers, and 31 community-based organizations. Together, these members account for over 50% of formal healthcare in rural areas and roughly 35% of healthcare nationally. As a core partner of the Ministry of Health managing roughly a third of our program's target hospitals, CHAZ has taken on central implementation activities under Saving Lives at Birth, including data collection, logistics, and capacity building at its institutions and network hospitals. SAZ is a professional society devoted to the interests of all anesthesia and critical care providers in Zambia. Led by Zambia's first class of Mmed graduates, SAZ is the premier anesthesia training and advocacy body in the country, and has been one of the most active national anesthesia societies in the world. SAZ is designing and implementing all clinical training activities for Saving Lives at Birth in Zambia--hosting centralized courses, leading on-site user trainings, and mentoring their anesthesia colleagues in the safe delivery of obstetric, pediatric, and general anesthesia. Sonergy Diagnostics is a medical sales and distribution services company based in Lusaka. Sonergy’s mission is to enhance healthcare solutions through the provision of reliable, efficient, and high-quality medical and laboratory equipment, along with consumables, end-user training, equipment maintenance, and customer service back-up. The company specializes in the Clinical Diagnostics & Medical Research areas of healthcare with equipment and consumables throughout Zambia. Sonergy has been marketing, distributing, and servicing the UAM in Zambia since 2014. It is the techncial lead for all in-country UAM activities under Saving Lives at Birth, including distribution and installation, maintenance and repairs, spare parts, and on-site technical trainings. Sonergy is also growing the UAM's installed base through ongoing marketing and customer engagement. THET is a UK-based nonprofit organization devoted to building a world where everyone has access to affordable and quality healthcare. It leverages the expertise and energy of the UK health community to support partnerships between hospitals, colleges, and clinics in the UK and overseas, particularly in Africa, the Middle East, and Asia. Serving more than 30 countries, THET works to strengthen local health systems and build a healthier future for all. THET has been working in Zambia since 2009, providing technical assistance to the Ministry of Health in the areas of medical equipment, human resources for health, surgery and anesthesia, and nutrition. It is a partner on the biomedical capacity building component of Saving Lives at Birth. Launched in 2011, the Saving Lives at Birth partnership includes the U.S. Agency for International Development (USAID), the Norwegian Agency for Development Cooperation (Norad), the Bill & Melinda Gates Foundation, Grand Challenges Canada (funded by the Government of Canada), the U.K’s Department for International Development (DFID), and the Korea International Cooperation Agency (KOICA). It is a global call for groundbreaking, scalable solutions to end infant and maternal mortality around the time of birth. Saving Lives at Birth aims to address the 303,000 maternal deaths, 2.7 million neonatal deaths, and 2.6 million stillbirths that occur each year around the world. To date, successful Saving Lives at Birth innovations are already beginning to scale, supporting over 1.5 million women and newborns and saving approximately 10,000 lives.